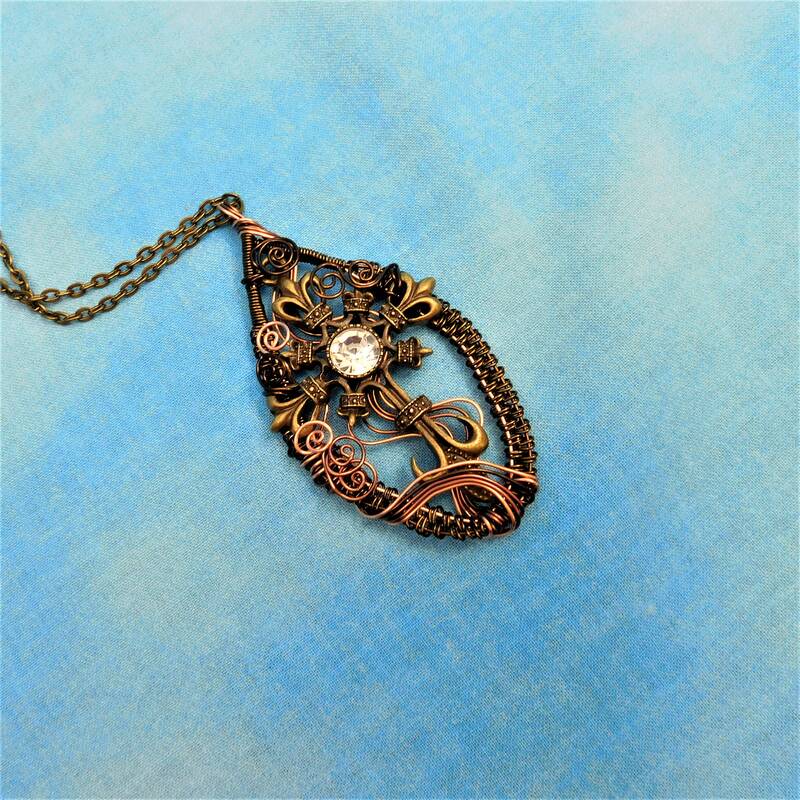 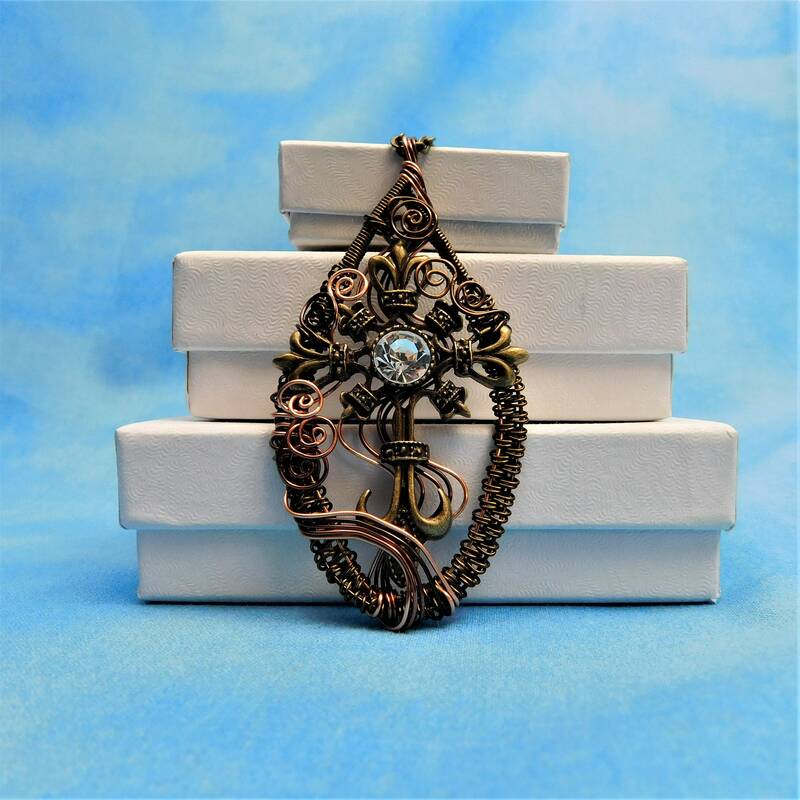 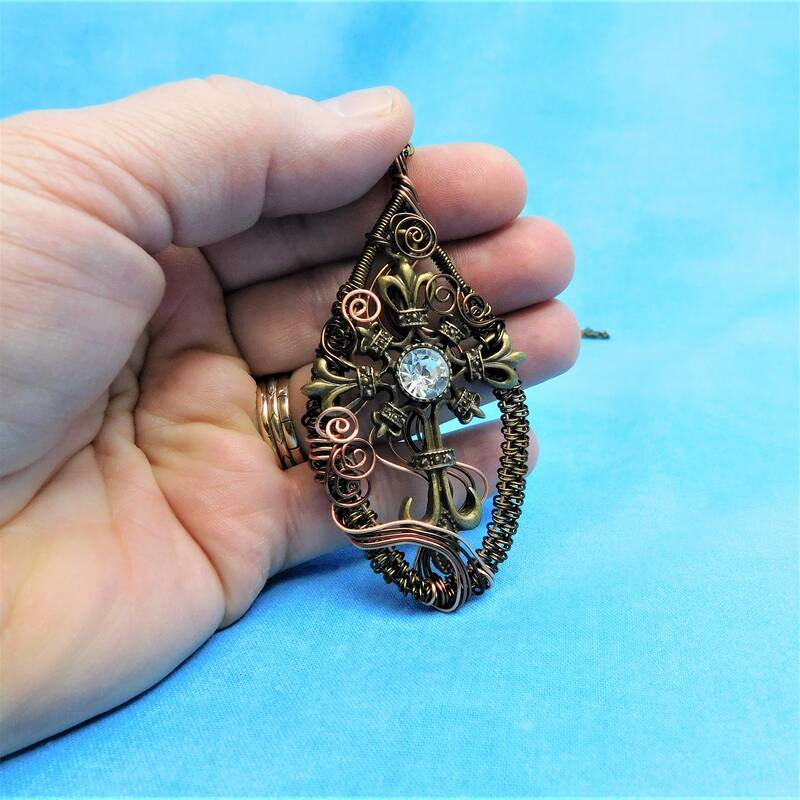 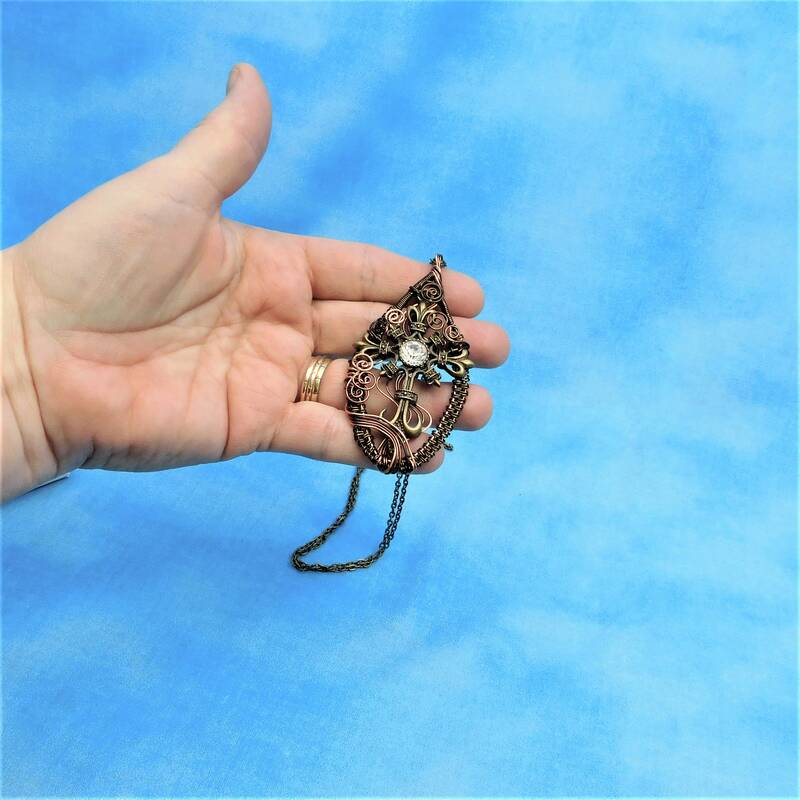 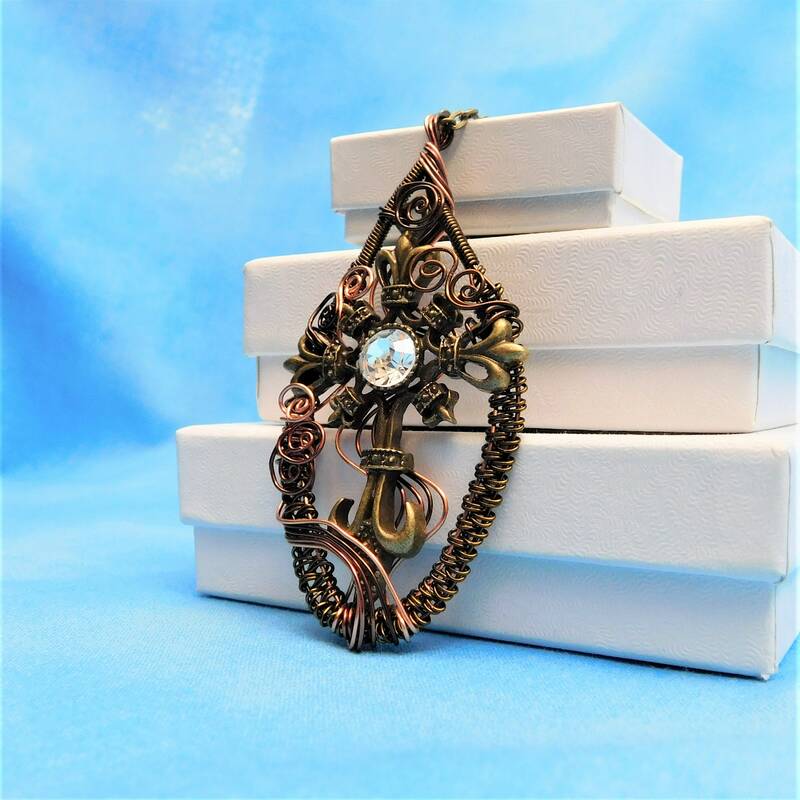 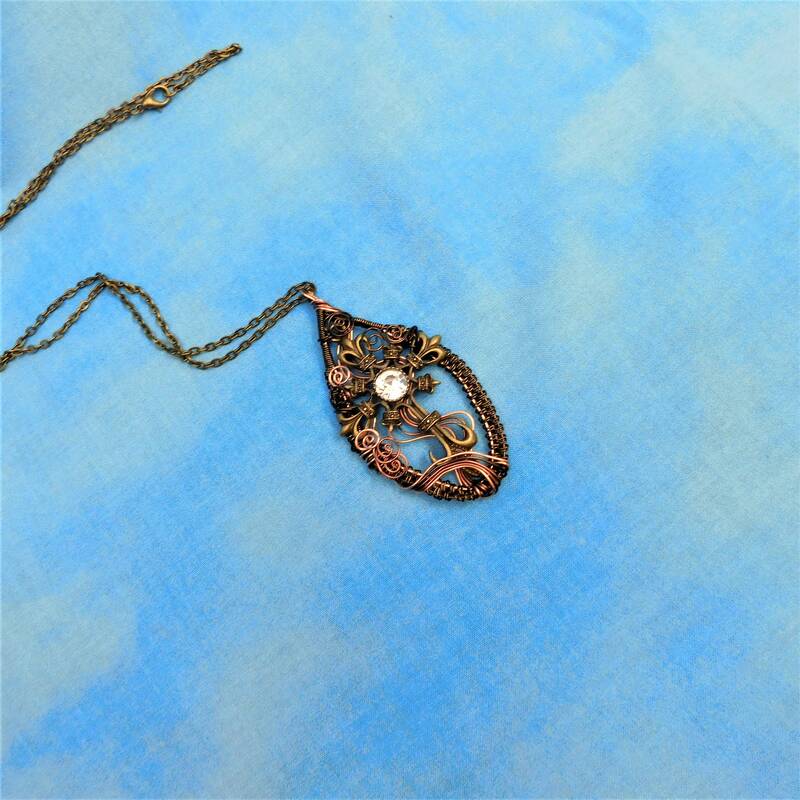 Artistically hand woven non tarnish copper wire, frames a bronze cross with a large clear rhinestone. 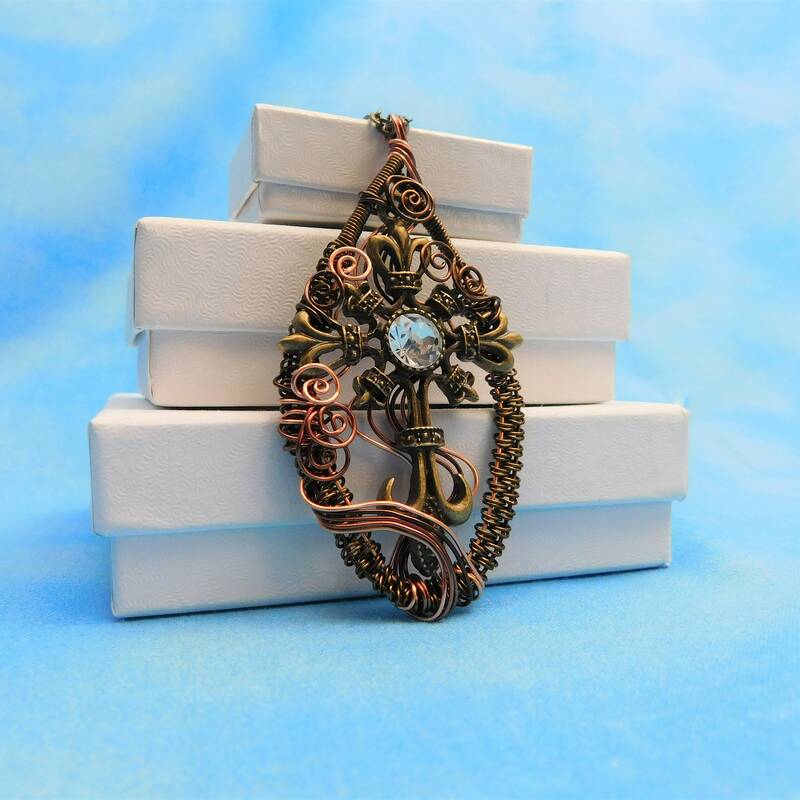 This pendant was lovingly artisan crafted to provide inspiration to the wearer. 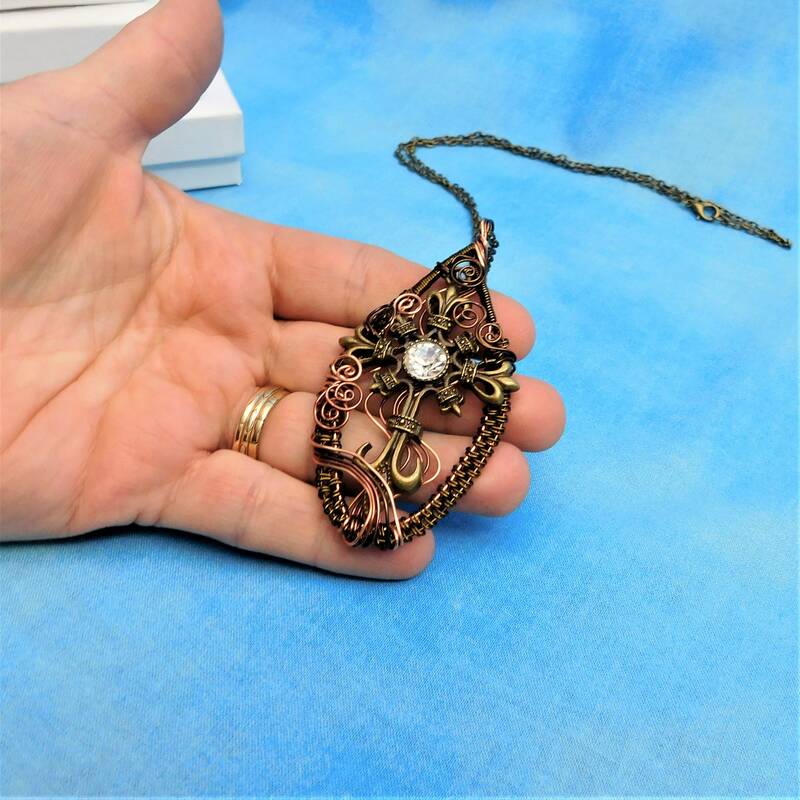 May the symbolism of the cross bring comfort and assurance through all of life's struggles and pleasures. 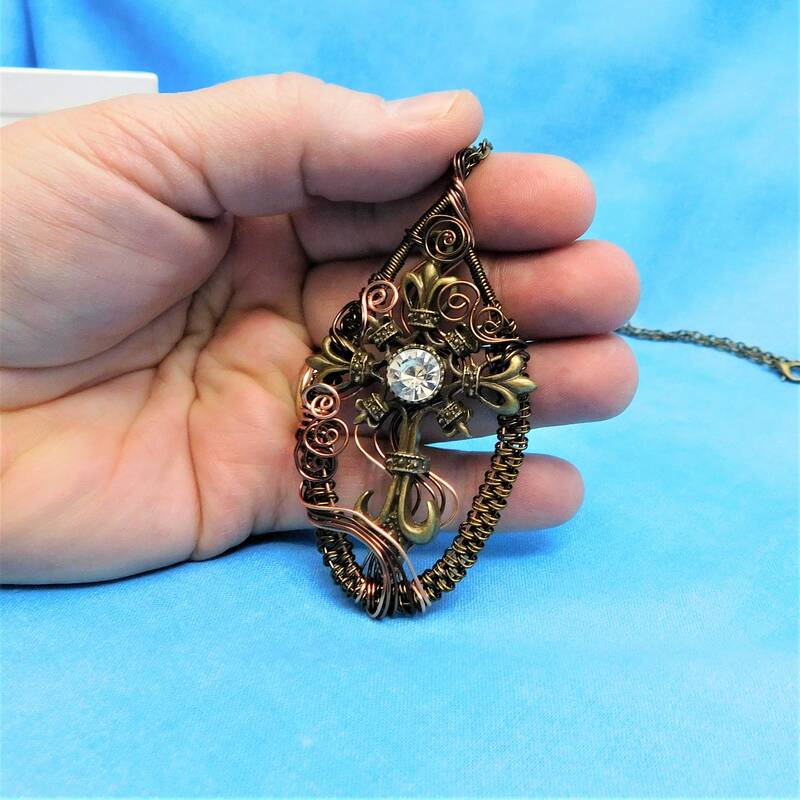 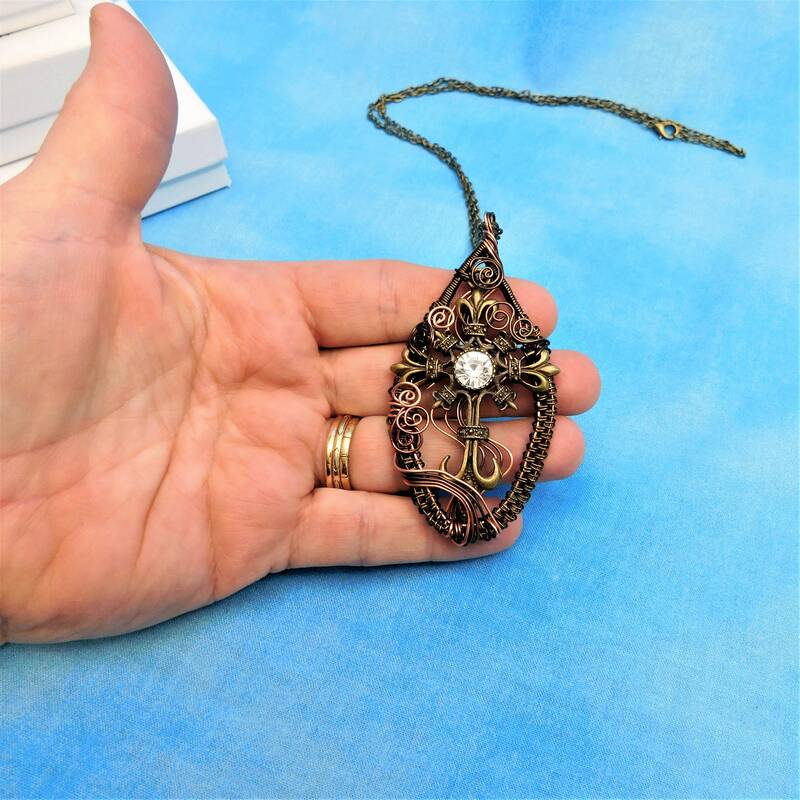 The pendant measures 3 inches by 1 1/2 inches and comes with a FREE coordinating chain with lobster claw clasp measured to your preferred length.